Should you need advice or assistance on a questionable item ingested by your pet (food, plant, chemical, human medication, etc. 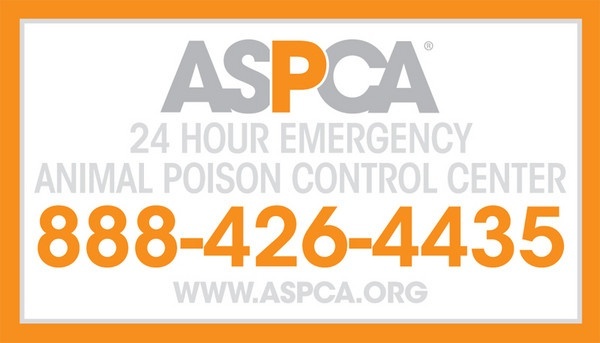 ), the ASPCA Animal Poison Control phone number is 1-888-426-4435. A $65 consultation fee may be applied to your credit card. The website (www.aspca.org/pet-care/animal-poison-control) has information as well. There, you can find specific information about items and what to do if ingested.